Why Rent with Highland Rent All? When does it Makes Sense to Rent Heavy Equipment? 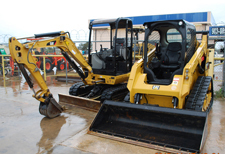 What types of Heavy Construction Equipment are for Rent in Albuquerque? Is it Time for Home Spring Cleaning, Maintenance or Repair? What Heavy Equipment can I Rent? What Types of Equipment Can I Rent for My Outdoor Party in Albuquerque? What Items Can I Rent To Help With My Home Move? What Party Supplies Can I Rent? Why Rent Garden Tools and What Garden Supplies Can I Rent? Why Should I Rent Party Supplies? Since 1973 Highland Rent All has been renting light and heavy duty equipment, garden supplies and party supplies to residents of Albuquerque and the surrounding areas. We pride ourselves in being a customer oriented rental company that always meets and often exceeds the expectations of those we serve. We are committed to 100 percent customer satisfaction and our employees are trained to ensure this happens by finding you exactly what you need, whatever that may be! We rent everything from garden tools, tables, chairs and flatware to metal detectors, automotive repair tools and BobCat steer loaders. We want to be your source for anything you need to rent to improve your indoor or outdoor life. At Highland Rent All we proudly offer equipment and party rentals in Albuquerque to residents of Rio Rancho, Bernalillo, Cedar Crest and the surrounding areas. Give us a call the next time it's time to rent! Highland Rent All is a full service rental center in Albuquerque that can meet your needs regarding just about any product! We aim to please by offering competitive rates for daily, weekly and longer rental periods. We encourage you to reach out to our team today to learn how we can supply you with exactly what you need. We're happy to provide quotes on all available products. From roll away beds to engine hoists; to popcorn and cotton candy machines to excavators and other heavy equipment, we can rent you what you need, when you need it. We only lease the highest quality products, ensuring complete customer satisfaction. To learn more about our products or to schedule party supply, garden tools or other equipment rentals in Albuquerque call Highland Rent All at (505) 349-4798 to speak with our friendly team! "I read all the reviews for Highland and it seemed ominous. I needed a front loader to take 10 yards of topsoil from my driveway, thru my 36" gate to the backyard. Normally I would use a wheelbarrow but I'm getting too old for that (63). First off, Highland had 3 bobcats that could get thru my gate. No other rental company had one; let alone 3. Home Depot had something you ride on the back of but the only one they had was out when I needed it. Anyway, the people at Highland couldn't have been nicer and not just the lady who worked at the front desk. The associates who hooked up the trailer and loaded the Bobcat were friendly and helpful and gave me a 10 minute course on how to operate the MACHINE. I was a little apprehensive because before this I only needed to master the wheelbarrow. 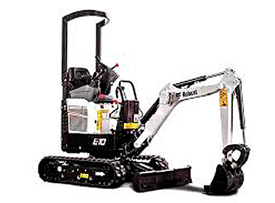 The Bobcat was powerful; worked perfectly and after a short period I felt very comfortable operating it. (It really was simple; anyone can use it. Just don't raise the bucket too high. ha ha I got covered in dirt.). Although I rented it for 24 hours, I finished moving my dirt and pulling 2 stumps in 6 hours. Rather than have it sit in my front yard till tomorrow. I returned the Bobcat and to my surprise I was refunded some money for early return. How about that? I will definitely rent again from Highland Rent All."